Lots of cute outfits! 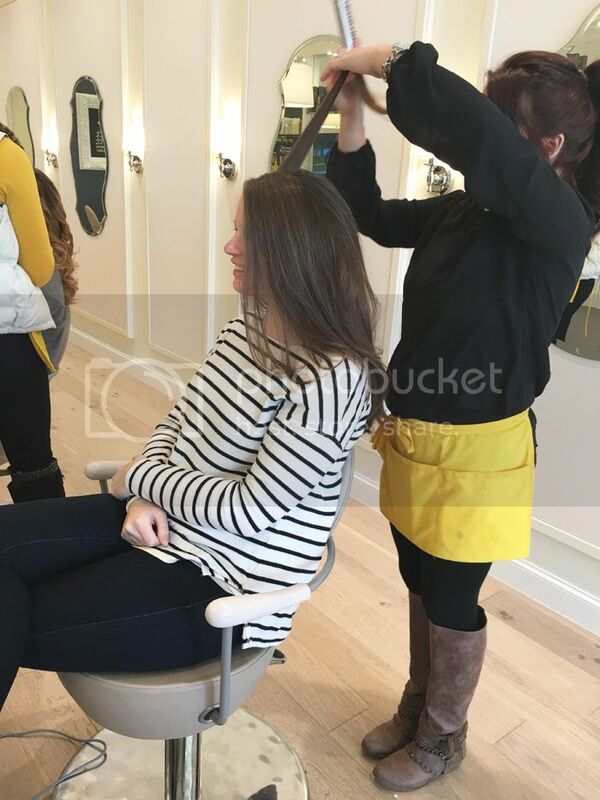 It is awesome that you will be able to wear things post pregnancy too! Seems like very smart shopping! Super cute outfits!! 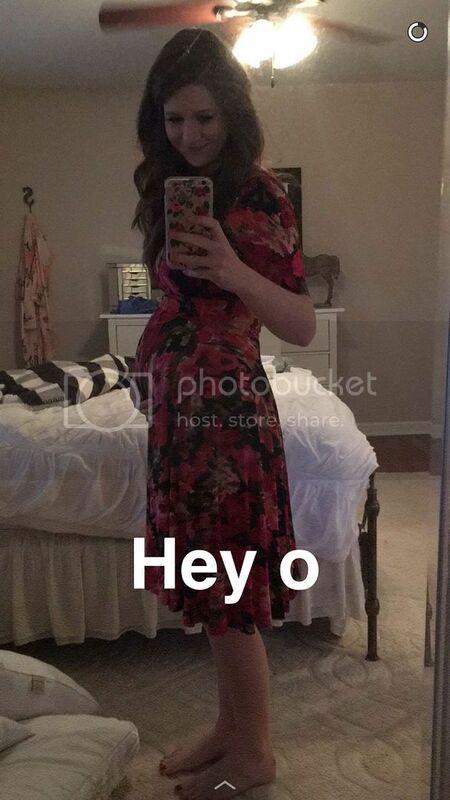 I've been loving how much you've been sharing with your pregnancy! 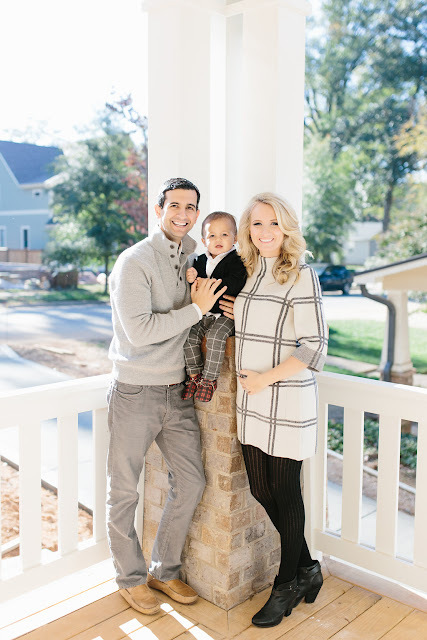 I realized too how many loose fitting shirts were in my closet pre-pregnancy! I haven't purchased a single maternity shirt (well, I ordered one and it went straight back to the store because it swallowed me). 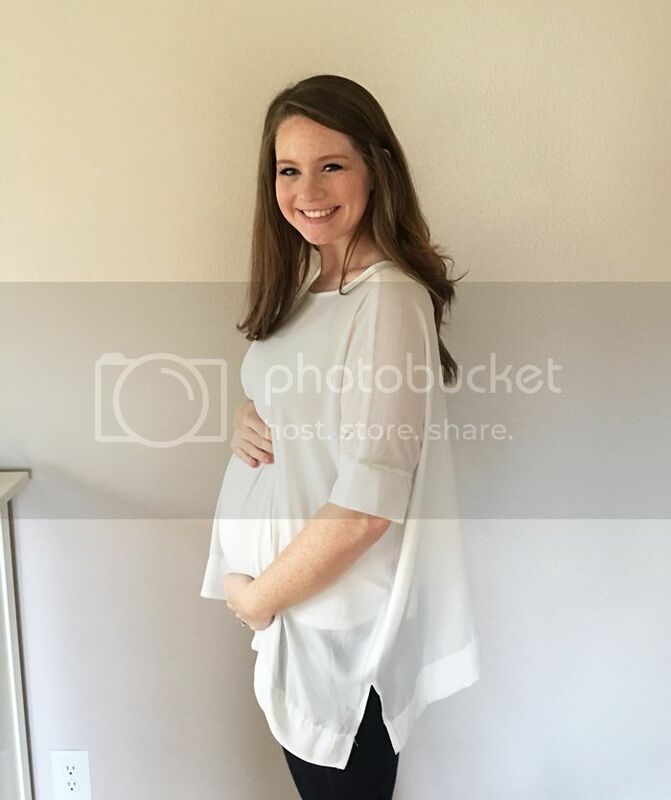 I'm 29 weeks and still rocking many of my pre-pregnancy shirts! My one tip is to get those glorious maternity tanks (or even just a really long tank) for wearing under most shirts. Ahhh, you are just THE cutest!! Loving your anthro sweater!!! That pink blush top is darling! I find the second trimester to be the hardest to dress for..the awkward 'is it a bump' stage is finally just about behind us! :-) Cheers to approaching the final trimester! Love this post! 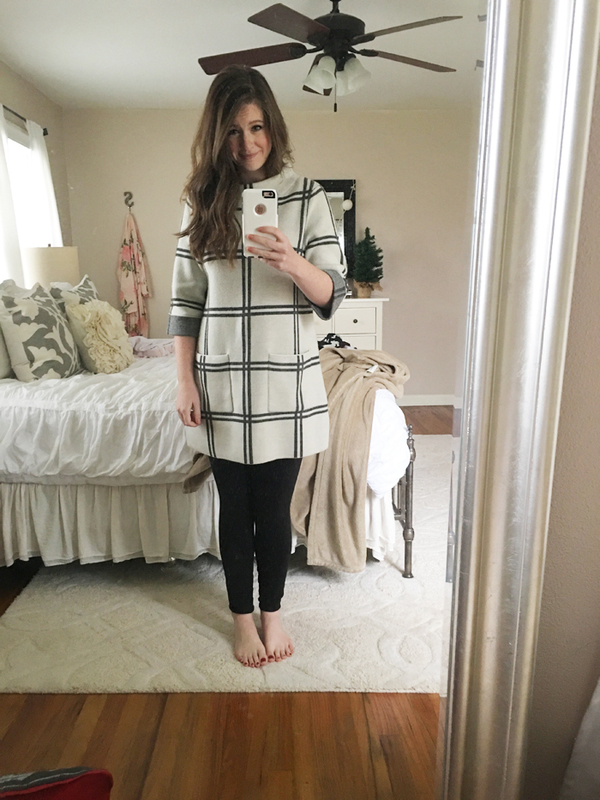 I have been surprised how hard I have found dressing for the first half of pregnancy. At 21 weeks my bump is finally starting to look like more than just chub- so I've spent most of the time in loose tops & am actually looking forward to a more substantial bump so I can finally show it off. The hardest part for me has been coming up with office appropriate outfits for work, when all I want to wear are leggings & sweats 24/7. All of your outfits are adorable & good motivation! 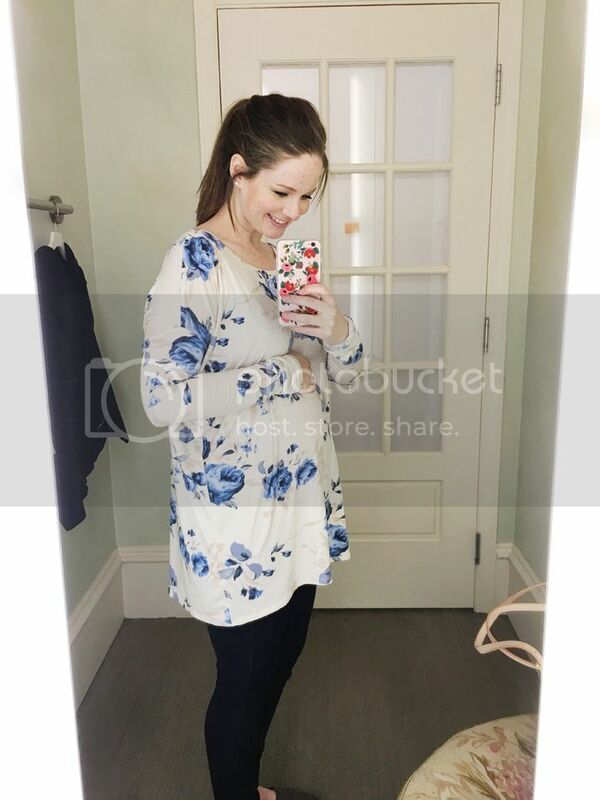 I'm obsessed with the first top--you look amazing in it, friend! 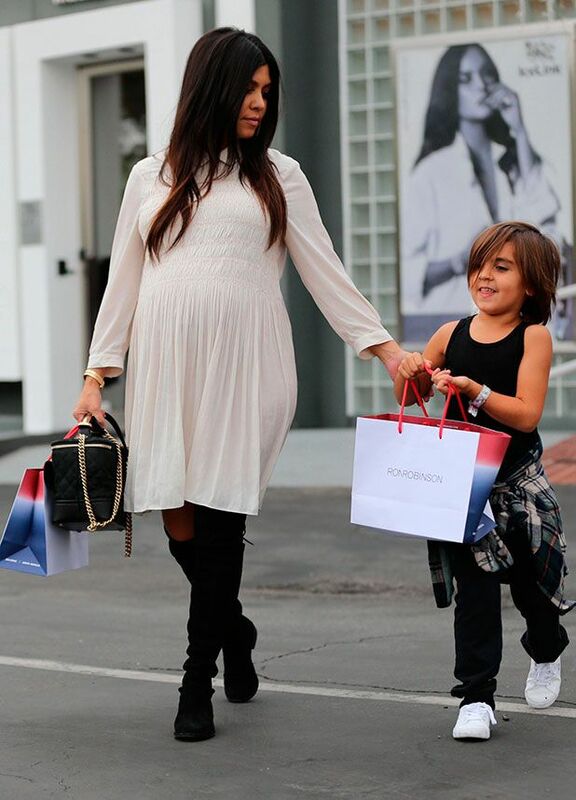 Your pregnancy style is too cute! 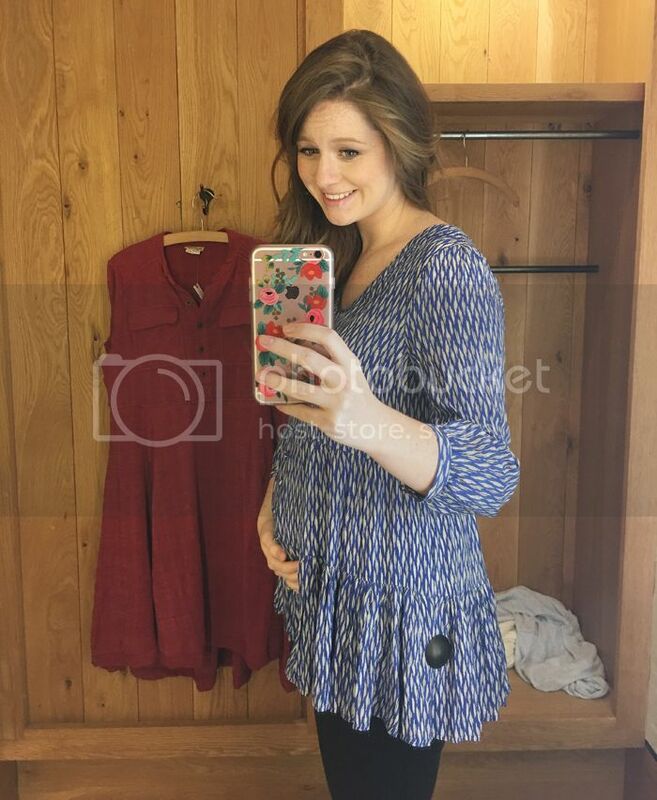 When I was pregnant I was definitely in to the flowy tops. My favorite place to shop was old navy. 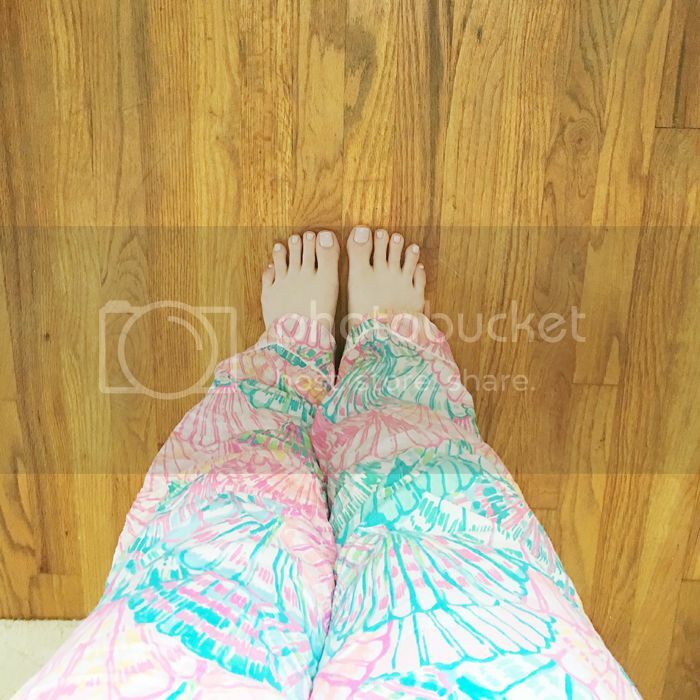 I practically lived in their leggings!